more great Disneyana Collectibles @ www.everythingcollectibles.biz. 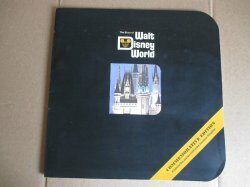 For sale is a Rare and Hard To find 1971 the story of walt disney world Book Vintage Rare OOP. Its In very good Condition no rip torn or missing pages no writing in or no the book as you can see from the pictures provided. If you would like addiditional pictures or a more detailed description please dont hesitate to ask. more great Disneyana Collectibles @ www.everythingcollectibles.biz. 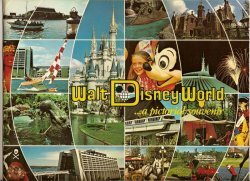 For sale is a Rare and Hard To find 1977 Walt Disney world Pictorial Souvenir Book Vintage OOP. Its In very good Condition no rip torn or missing pages no writing in or no the book as you can see from the pictures provided. If you would like addiditional pictures or a more detailed description please dont hesitate to ask. more great Disneyana Collectibles @ www.everythingcollectibles.biz. 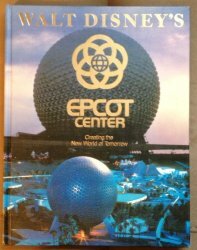 For sale is a Rare and Hard To find 1982 Walt Disney World Epcot Creating the New World of Tommorrow Hardback Book OOP. Its In very good Condition no rip torn or missing pages no writing in or no the book as you can see from the pictures provided. If you would like addiditional pictures or a more detailed description please dont hesitate to ask. more great Disneyana Collectibles @ www.everythingcollectibles.biz. 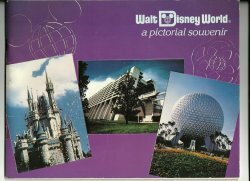 For sale is a Rare and Hard To find 1983 Walt Disney world Pictorial Souvenir Book Vintage OOP. Its In very good Condition no rip torn or missing pages no writing in or no the book as you can see from the pictures provided. If you would like addiditional pictures or a more detailed description please dont hesitate to ask. 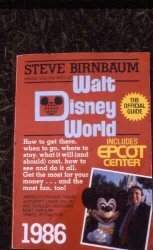 Very Rare and Scarce Birnbaum Guide To Walt Disney World only its 4th year in publication!!! VERY RARE AND OUT OF PRINT DISNEY COLLECTIBLE! Paperback. In very good condition. Binding is tight. Moderate wear to cover. Some age browning to pages. Fast Same or Next Day SHipping with Tracking in the UNITED STATES. Will Make a Wonderful Addition to any DISNEYANA collection Has 192 pages in a tight binding. Illustrations throughout.